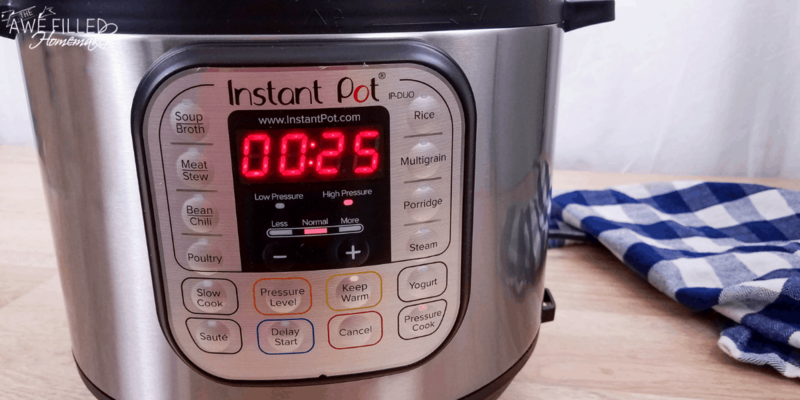 Did you know you can make bakery style muffins in your Instant Pot? 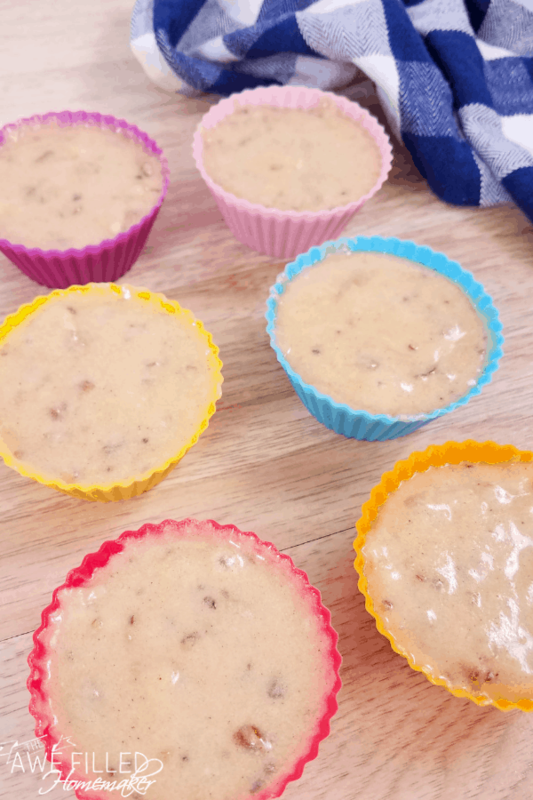 These Instant Pot Apple Pecan Streusel Muffins are the perfect sweet compliment for fall. 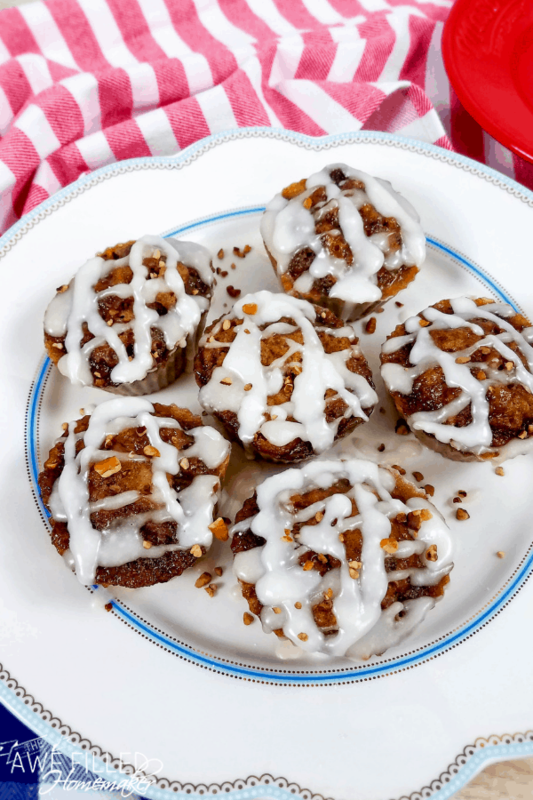 Fall’s finest ingredients come together to create one tasty apple pecan streusel muffin. 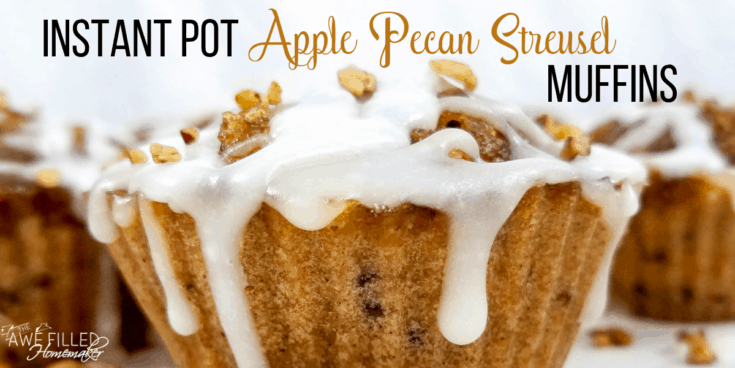 Tender bits of apples in each bite paired with cinnamon and bits of pecans topped with a streusel and glaze that brings these apple pecan muffins over the top. Muffins are something I make all the time in our home. This summer we were eating a lot of my lemon blueberry muffins. 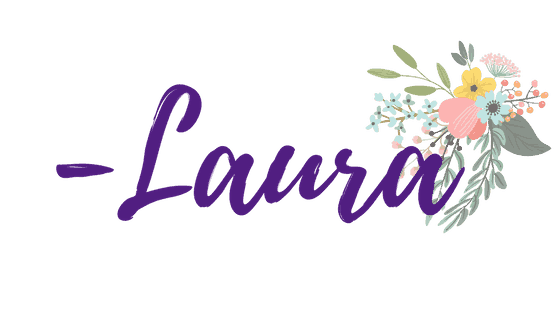 They were perfect for the warmer months. 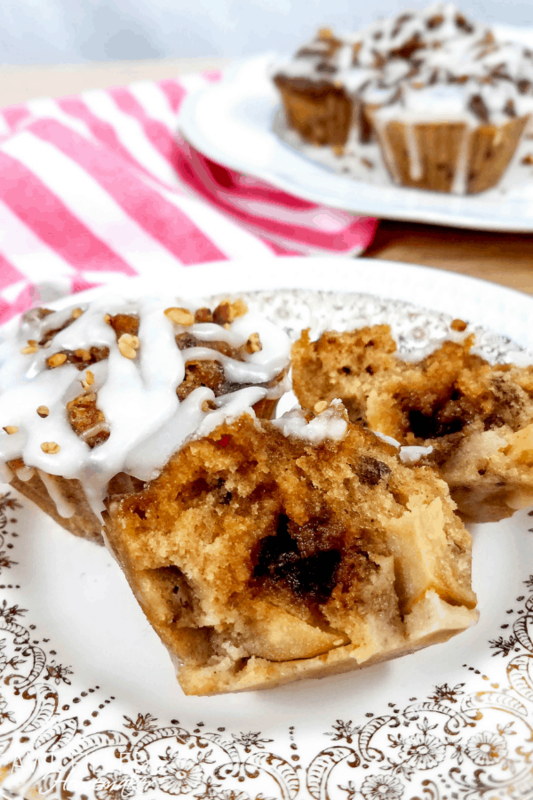 The texture of these apple pecan streusel muffins reminds me more of a pound cake or even banana bread. They are perfect for breakfast on the go, an afternoon snack or get togethers and playdates. 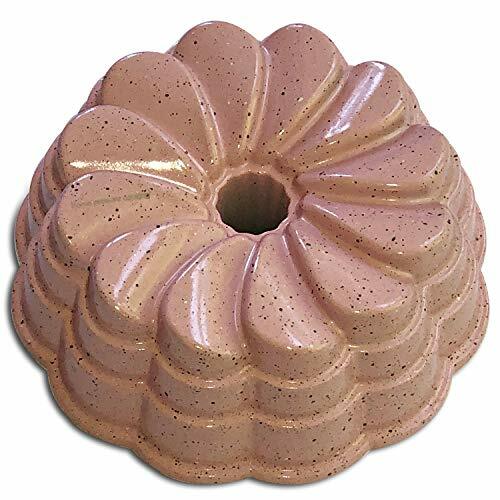 I remember as a child waking up to the smell of homemade muffins. It was such a fond aroma that remains woven in my memories. As a mom, I wanted to be able to create those same memories that my children might remember one day when they are older. 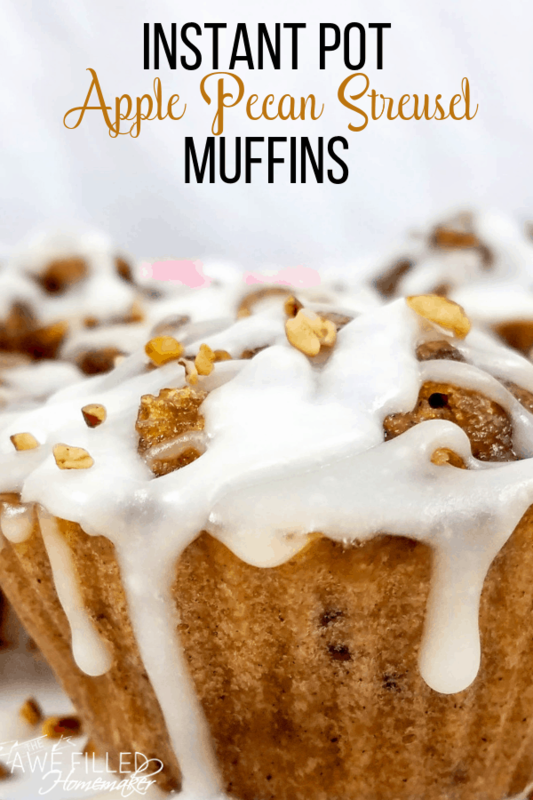 I generally bake muffins to fit the season and since the weather is beginning to get a little cooler, this was a perfect time to introduce these muffins. 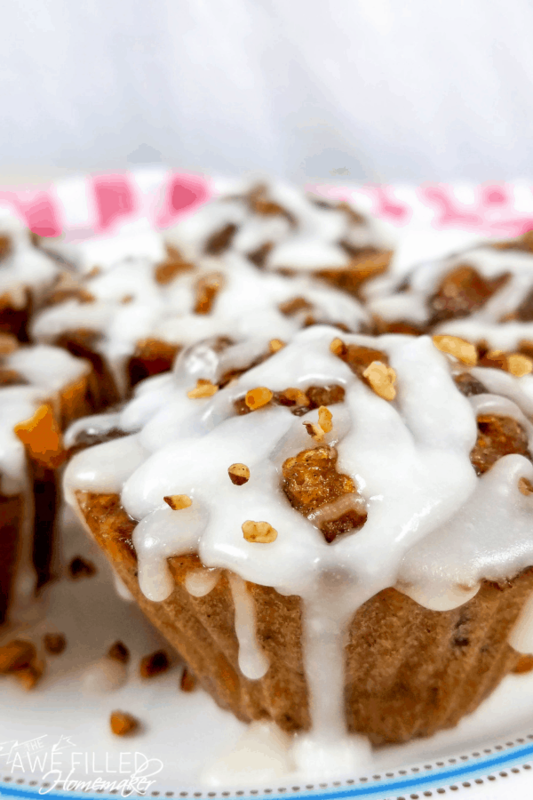 Baking these muffins will indeed make your home smell like Autumn. It is also a beautiful way to welcome the first few chillier days of the year. We picked up a few extra apples since they were on sale last week and let me say we are in apple heaven. Apple fritter donuts, sugar-free apple butter and apple hand pies are all on the list to make. If you are unsure what apples are best for baking, here is a list below to help guide you. I know when you walk into the grocery store and see countless types of apples, you might think they are all the same. While that would be ideal, that isn’t the case. Some apples will break down more as they bake. If you want to have those tender bits of apple in your muffins, pie or other recipes, you need the right apples. Honeycrisps | A very sweet apple that is nice and crisp and holds up well during baking. Jonathans | Firm and slightly tart with a hint of sweetness. Granny Smith | You will find Granny Smith apples are used a lot in baking. They are firm, hold up well and have a tart and tang to them. Golden Delicious | These apples will break down more during baking, but they offer a subtle sweetness. Less added sugar is needed with these apples. Gala | Gala apples are very popular because they are beautiful and crisp and bake well. They also offer the right amount of natural sweetness to your recipe. Those are the top apples that most shoppers reach for when using apples in baking. 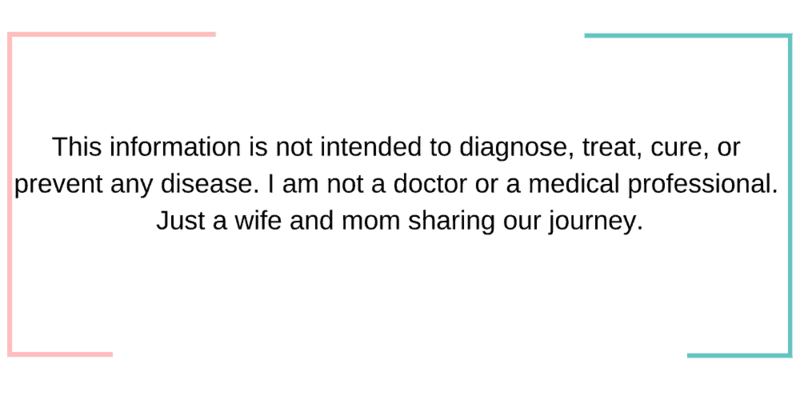 There are quite a few more varieties you can use and depending on your geographical location, you might have different options than the ones listed. 1/2 cup sugar. 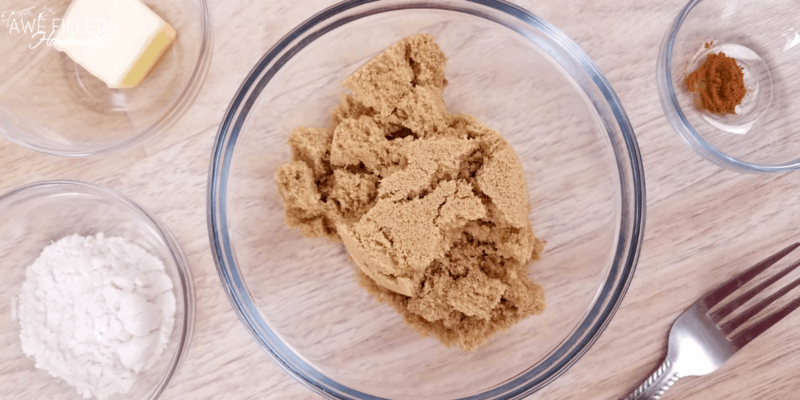 You can also use this, which is a great sugar substitute we use. 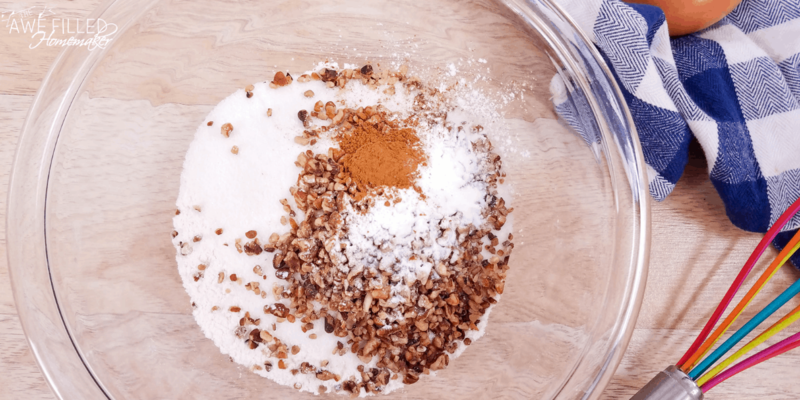 1) In a bowl, mix together the flour, sugar, baking powder, baking soda, salt, cinnamon, and pecans (dry ingredients). 2) In a separate bowl, whisk together the eggs, milk, vanilla, and butter (wet ingredients). 3) Next, mix the wet ingredients in with the dry ingredients. Set aside until ready to use. 4) Lay out the silicone muffin liners. 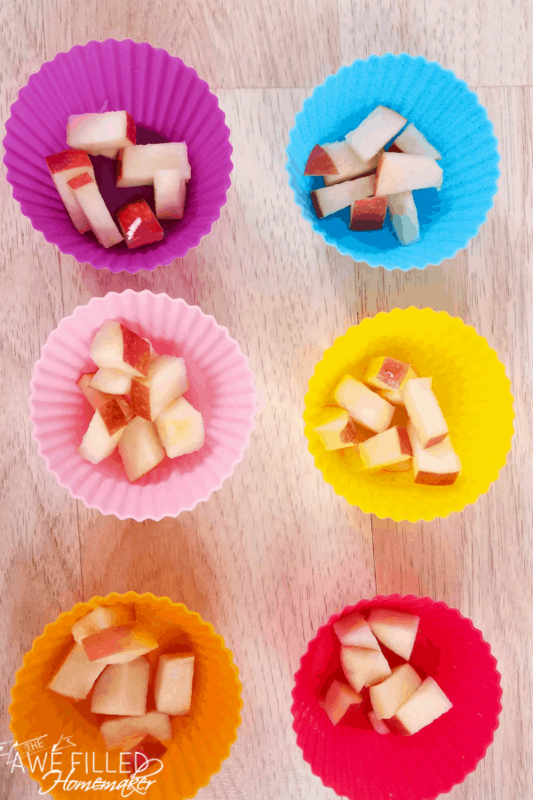 Add a 3-5 pieces of chopped apples to each liner. Then fill the muffin liners 3/4 full of batter. You may want to tap the bottom of the muffin liner to make sure the batter sinks all the way to the bottom. 5) Next, make the streusel by mixing all the streusel ingredients with a fork. Spoon the streusel over the muffins. 6) Arrange the muffins on a trivet. I like to use my trivet with long handles. Pour 2 cups water into the Instant Pot insert then carefully lower the muffin into the Instant Pot using the trivet. Cover the muffins with foil. It doesn’t have to be tight. 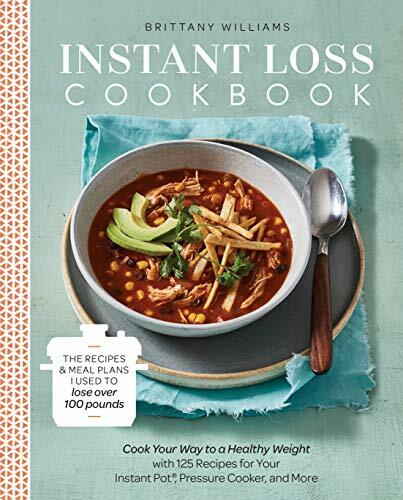 A loose cover will do. 7) Close the lid and turn the pressure valve to sealing. Cook on high pressure using “manual” or “pressure cook” for 25 minutes. Let the pressure release naturally. 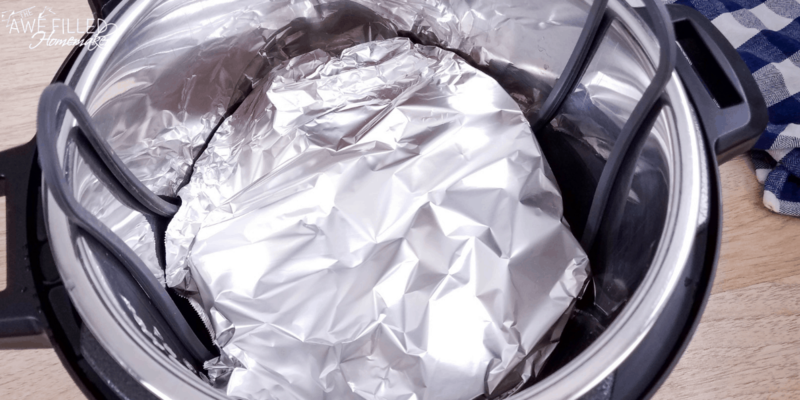 Remove from the Instant Pot, take off the foil and let cool for 10-15 minutes. 8) After the muffins have cooled, mix together the ingredients for the glaze. Drizzle the glaze over the muffins and serve. -You can add the apples to the batter. I like to put the apples in the liner to ensure I get apple in every bite. -These muffins have a denser texture much like banana bread or pound cake. 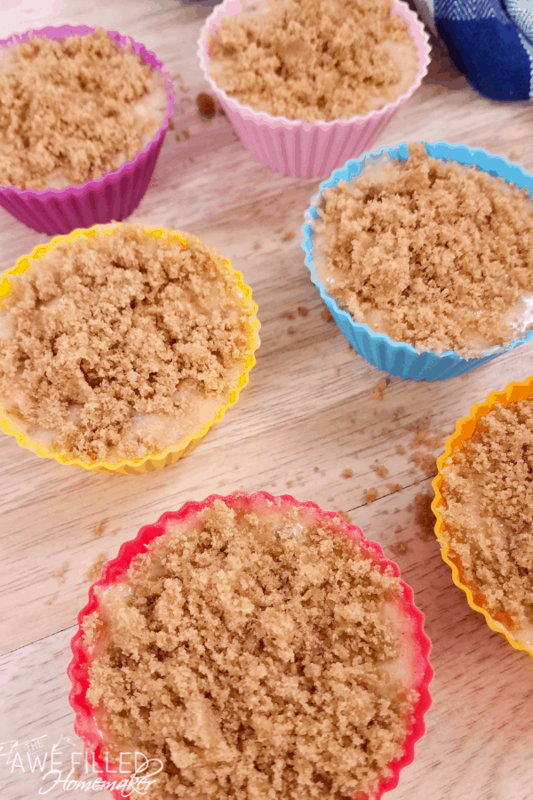 These Instant Pot Apple Pecan Streusel Muffins are the perfect sweet compliment for fall. 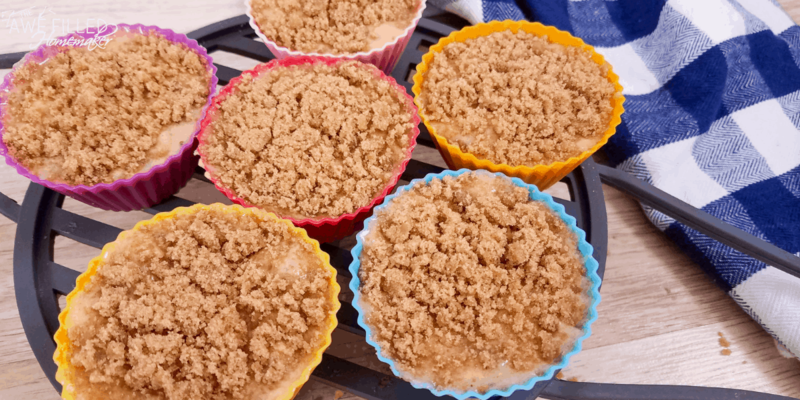 Fall’s finest ingredients come together to create one tasty apple pecan streusel muffin. 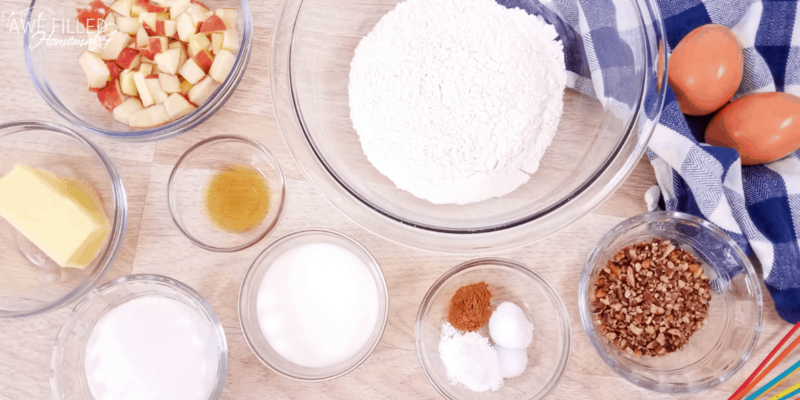 In a bowl mix together the flour, sugar, baking powder, baking soda, salt, cinnamon, and pecans (dry ingredients). 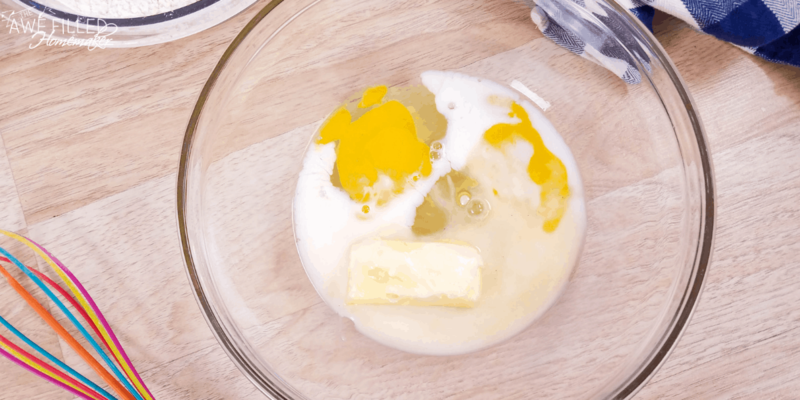 In a separate bowl whisk together the eggs, milk, vanilla, and butter (wet ingredients). Next mix the wet ingredients in with the dry ingredients. Set aside until ready to use. Lay out the silicone muffin liners. Add a 3-5 pieces of chopped apples to each liner. Then fill the muffin liners 3/4 full of batter. You may want to tap the bottom of the muffin liner to make sure the batter sinks all the way to the bottom. Next make the streusel by mixing all the streusel ingredients with a fork. Spoon the streusel over the muffins. Arrange the muffins on a trivet. I like to use my trivet with long handles. Pour 2 cups water into the Instant Pot insert then carefully lower the muffin into the Instant Pot using the trivet. Cover the muffins with foil. It doesn't have to be tight, a loose cover will do. Close the lid and turn the pressure valve to sealing. Cook on high pressure using "manual" or "pressure cook" for 25 minutes. Let the pressure release naturally. 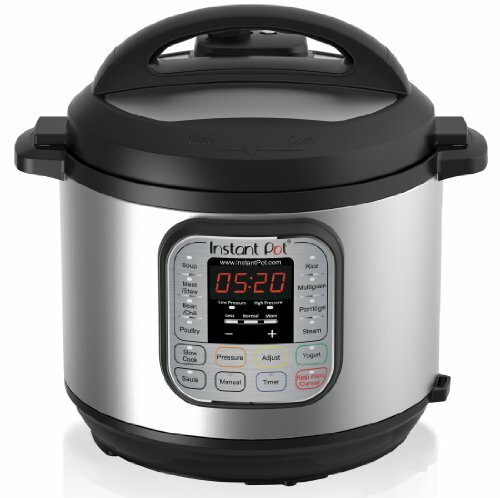 Remove from the Instant Pot, take off the foil, and let cool for 10-15 minutes. After the muffins have cooled mix together the ingredients for the glaze. Drizzle the glaze over the muffins and serve. 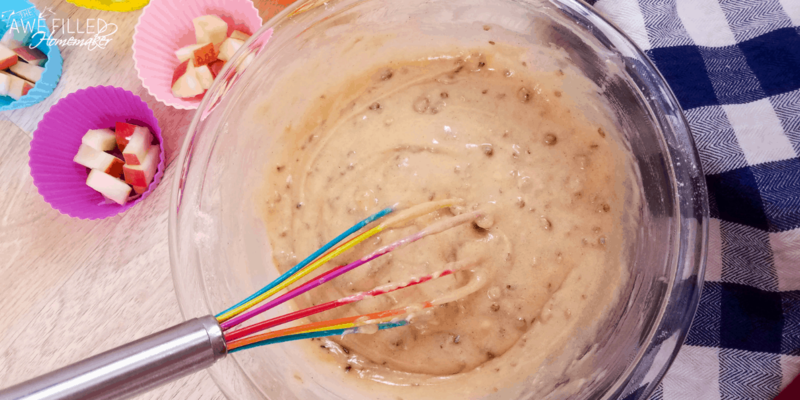 You can add the apples to the batter. I like to put the apples in the liner to ensure I get apple in every bite. -These muffins have a denser texture much like banana bread or pound cake.